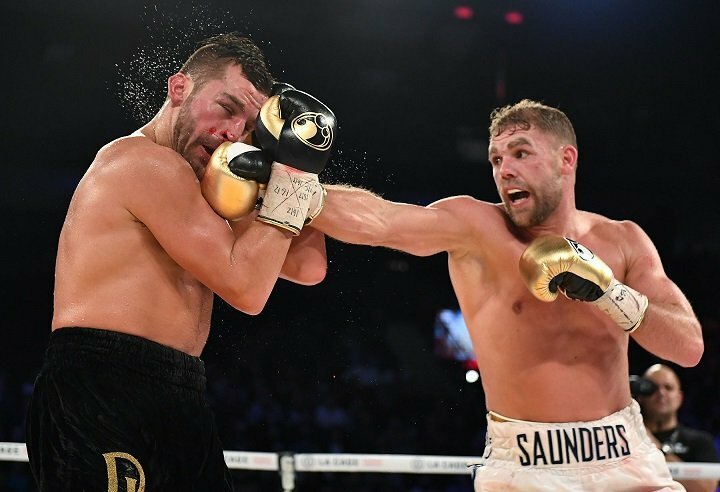 There is no doubt about it, WBO middleweight ruler Billy Joe Saunders put on one of the most impressive, classy and thoroughly dominant performances of the year with his wider than anyone expected, near shut-out decision win over a dangerous puncher in David Lemieux on December 16. The unbeaten southpaw has been showered with all manner of praise since his big win in Canada; with some fans even suggesting Saunders, 26-0(12) should be awarded with The Fighter of The Year distinction – if not worldwide, then from a British perspective. Indeed, Saunders has had some good year, even if he had just two bouts: also winning a clear decision over the slick Willie Monroe Jr. in September. But Tyson Fury, who, it has to be said, is guilty of being more than a touch biased seeing how he is great friends with his fellow traveller, goes further – saying Saunders is now fully deserving of being ranked amongst the world’s best fighters, pound-for-pound. Is the former, undefeated heavyweight king correct; does BJS deserve to be placed right alongside elite boxers like Vasyl Lomachenko, Terence Crawford, Gennady Golovkin and others? It’s an argument that can be made, for sure, but maybe some fans will feel Saunders needs a little more on his resume before he is looked at as genuine P-4-P material. This is not to take anything from his great win over Lemieux – a power-puncher who displayed for all to see his lethal handiwork in March of this year when he iced the capable Curtis Stevens in quite chilling fashion – but in defeating the Canadian, Saunders did not do anything three other guys also managed. GGG beat up, bloodied and stopped Lemieux, while Marco Antonio Rubio and Joachim Alcine also hold wins over the former IBF middleweight champ. The manner in which Saunders beat Lemieux, and in his backyard, deserves plenty of respect, yes, but the mythical pound-for-pound rankings are reserved for the absolute, no-doubt-about-it, elite-level fighters. A win over a GGG or a Canelo would end any doubt – and BJS wants these fights next – but for now, Saunders is probably just short of being in the P-4-P Top-10. You are here: Home / Boxing News / Is Billy Joe Saunders a pound-for-pound fighter?